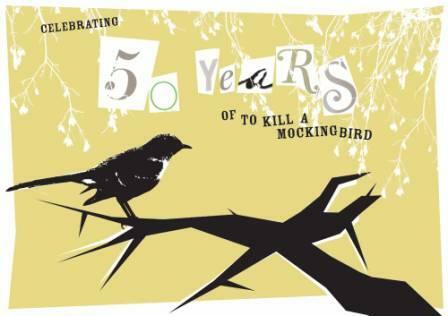 As you may know, July 11th of this year heralded the 5oth anniversary of the first publishing of To Kill a Mockingbird. People from all over the country are gathering in various places this summer to celebrate this iconic book and to discuss its impacts on culture and consciousness. To find out if there is an event in your area, you can go to the official website. What other book can cause people to gather in such numbers and to, last year, proclaim it, according to one poll, the most inspirational book of all time (above even the Bible)? What other book causes British librarians to rank it ahead of the Bible as one “every adult should read before they die”. There are not many books that claim they were an instant success, win the Pulitzer, be adapted into an Oscar-winning (and iconic) movie, sell more than thirty million copies worldwide, or be translated into about forty languages since its publication. From a collector’s perspective, this book is also a must-have for modern literature. The first edition, which was published by J.B. Lippincott Co. of Philadelphia had only an estimated first printing of 5,000 copies, many of these going to libraries. And as it was a sensational hit, it was also well read. To get a pristine first edition dust jacket of this book is extremely rare indeed. With regard to a bit of identification, a first edition dust jacket has a picture of Harper Lee (taken by her good friend Truman Capote) and on the bottom right corner is Capote’s name. Inside the front flap of the dust jacket the price of $3.95 should appear at the bottom of the flap. A key feature from distinguishing the first edition from the book club edition is that the copyright page states First Edition. If it does not state first edition, it is not a first edition. Signed books by Lee are quite rare, as she has been fairly reclusive throughout her life. Also, as this was her only published book, it makes her signature all the more desirable. So, here’s to a book that sent shock waves through the south and through the world. Here’s to a book beloved by millions. Here’s to a little piece of history. Happy Birthday, Mockingbird.